We foster an environment of caring and sharing in the societies where we are present. We engage a widening network of partners to achieve Social Justice and Total Christian Liberation. 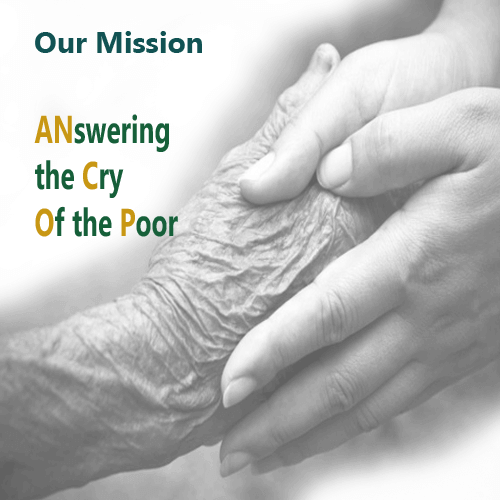 We help ensure the dignity of the poor. 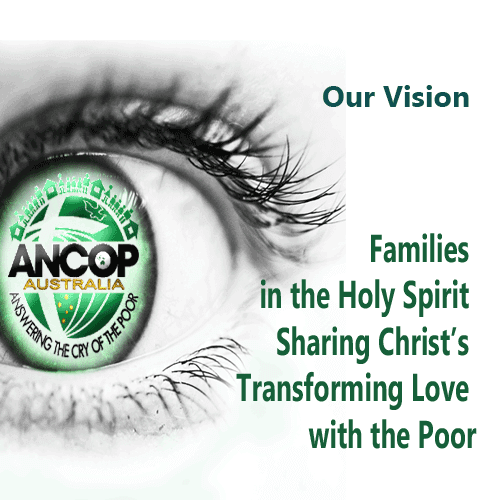 Over the years ANCOP grew with a better understanding of its calling as expressed in its Vision and Mission (see Vision and Mission). 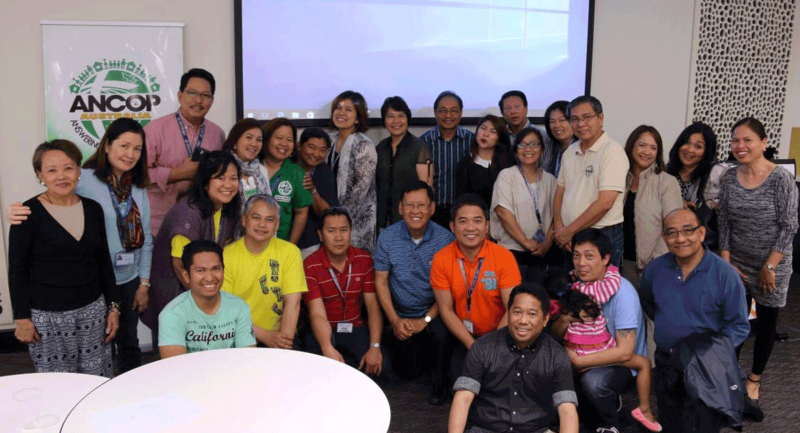 With this, the work of ANCOP also inevitably had to be separated from the branding of Gawad Kalinga as the latter became more and more a drive for nation-building in the Philippines forging partnerships with businesses and organisations of diverse values and beliefs. For ANCOP however, it became clearer that we are called to devotion to God before devotion to country, holiness before heroism, and to build God's Kingdom hand and hand with nation-building. Our mission lies in our deep faith in and in connection to Christ's mission to love our neighbour regardless of race, creed, belief and affiliation and by easing the bonds of their poverty, allow them to recognise and fulfil their true dignity and worth in the society. Our Logo is the local adaptation of the Global ANCOP Logo. We have added elements to identify our base country and mission area. The name "Australia" and the Southern Cross Constellation in gold to identify with Aussie colours: Green and Gold. The logo illustrates that ANCOP is very much aligned with the work of CFC. 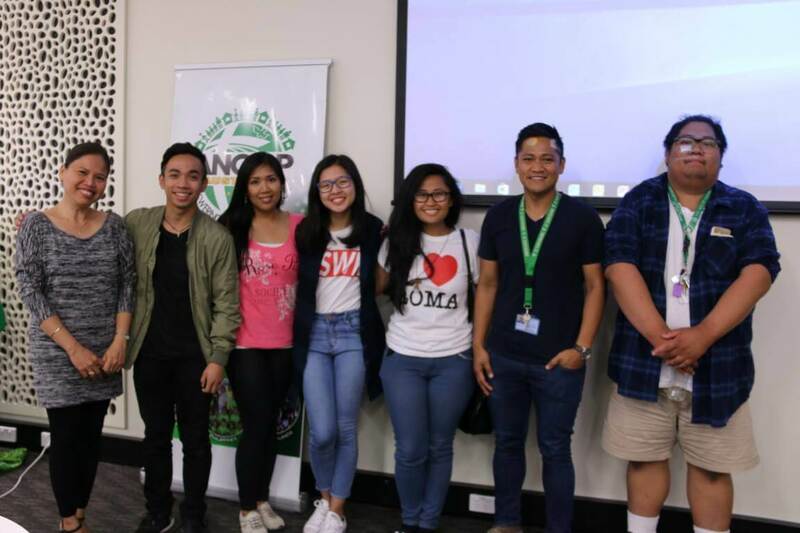 The program under ANCOP are to be implemented based on the core values of CFC - Pro God, Pro Family, Pro Life and Pro Poor, with the key principle that Christ is the center of the work and must be proclaimed in word and in deed. The house represent the Community Development Program, whose primary objective is to provide optimal living conditions for the ANCOP Homes Home Partners, where they could raise their children in a safe and clean environment. The children stand for the Child Sponsorship Program which sends school-aged children to school, whether in elementary, high school, college or vocational. 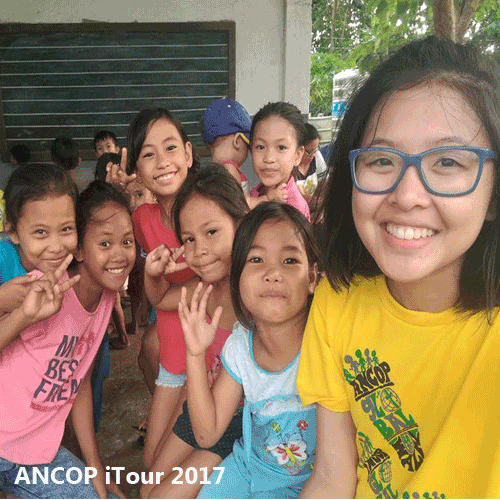 ANCOP believes that through quality education, these children can learn to hope again, and help them fulfill their dreams of a better life for them and their families. Together with the children are the mothers and fathers, as illustrated above. This simple family illustration (depicting our being Pro Family) represents Couples for Christ’s fulfillment of the mission of building the Church of the Home by providing them support in the spiritual (being Pro God through evangelization), health (being Pro Life by providing them medical support and sound health education) and economic (being Pro Poor through capacity building in the area of livelihood) aspects. The Circle with the stylized Couples for Christ logo represents the unity that binds all the Family Ministries in this endeavor of uplifting the lives of our poor brethren by opening opportunities for them to help themselves. This also reminds us of our unity with the Catholic Church in addressing the social issues that affect the faithful. The Cross is none other than Christ who is the center of our work with the poor. The Dove. We are moved by the Holy Spirit. We are empowered to act now. The color green, which is the dominant color of the logo, represents CFC’s commitment to care for the environment and all God’s creation. The Globe represents the global network of ANCOP and CFC. National Directors, Country Coordinators, Ambassadors, Past and Present Presidents, Ministry Coordinators, Marketing, Finance, Official Photographers, Web Design/Management, Admins, Writers, Event Coordinators... each wearing many hats - out of love for the poor.